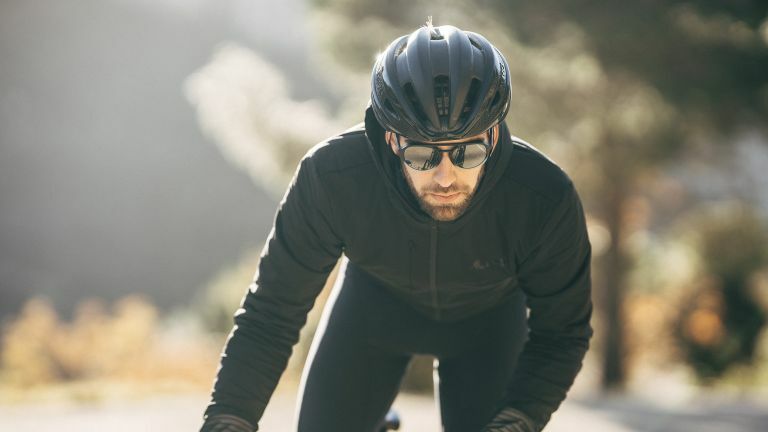 French cycling apparel brand Café du Cycliste has just introduced a new addition to its Audax collection with the Zélie, a great-looking technical hooded jacket that's designed to keep you warm on long rides. For les hommes des sports, it's considerably more suave than a gilet jaune. Built for distance, the Zélie jacket promises protection against the elements from dawn to dusk and beyond with its the three-layer windproof, breathable construction. Details include oversized reflective elements on the rear and sleeves and an insulated hood which fits underneath a helmet. There are three cargo pockets, a zipped rear pocket, an oversized rear ‘drop’ pocket and a zipped chest pocket for smaller items. Although the jacket is in deepest noir, a stylish and playfully deployed set of reflective details mean you remain visible to other road users. The jacket is accompanied by another launch from Café du Cycliste: the company's AX gloves. Designed to offer improved visibility in poor light conditions, the gloves feature windproof panels, a layer construction and reinforced leather palm sections, as well as reflective detailing. The Zélie is priced at €260 / £252 / $325 and is available now on www.cafeducycliste.com and in Nice, London, and Mallorca stores. The gloves are priced at €75 / £73 / $94 and will be available from January 21.